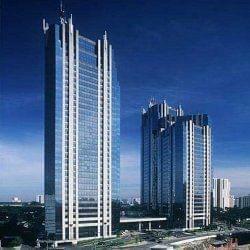 Find My Workspace lists over 95% of the serviced offices market in South Jakarta. Simply click Request Quote to check pricing for one office, or Add to Basket for multiple offices. This centre is here to provide you with a safe and well-protected landing point, where collaboration, transparency and openness are at the forefront of your goals. You will be provided with a warm, relaxed, yet refined ambience for you to work, discover and play – and beyond that, support your journey for meaningful discovery.This fully-equipped space and seamless interactions allow you to enjoy the best of both worlds. Everything is provided for you at this modern space, from all-inclusive pricing to flexible lease terms and lengths, meaning you can concentrate on doing what you do best – conquering the world! 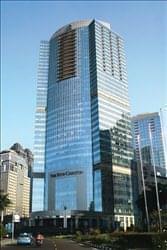 Located on the 38th floor, each office in this centre comes fully equipped with top-quality fittings. The centre features a spacious lounge area overlooking Jakarta and a discussion area where clients and guests can relax and unwind over a cup of coffee or a glass of wine from the Enomatic wine dispenser. The price is all inclusive of Internet, kitchen amenities, telephone connectivity, and housekeeping. This complex offers banks, food outlet, gym facilities, and a supermarket. 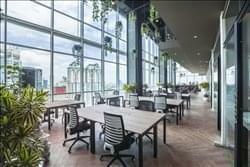 This new business center, located in South Jakarta, sits on the 30th floor of the building providing you with amazing views of Jakarta City right from your desk. There are 13 spacious brand new office rooms with a modern design that can fit up-to 6 people. The space offers members access to meeting facilities, and elegant reception area, a pantry, a business lounge and daily cleaning services. This centre offers fully equipped office space and executive suites for rent. Stands as the art building with highest technologies in Kuningan. It also provide meeting rooms, conference rooms, training rooms and video conferencing in a professional business setting, as well as virtual office services and the world’s best business addresses. This centre offers flexible solutions. 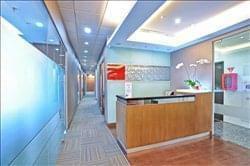 It features fully furnished office suites, professional reception, secretarial and administration support. Supporting your business at TB Simatupang area, this Office Park boasts wider range of convenient and prestigious working space for all your business needs. Offering all the key features that simplify your business, this Office Park is most favored for its modern and artistic architectural elements. The business centre has a superior corporate address in South Jakarta, offering a safe and secure environment for businesses to flourish. The facilities and restaurants make the buildings a place for people, not just a place for business. Local companies comprising oil, energy and engineering companies are also housed in this office park . This business centre is constantly and effectively responding to today’s business trends, generously investing in high-end telecommunication equipment and facilities. The centre provides you with personalised call answering, external call transfers, and voicemail capabilities. Many international companies have utilised this centre as a corporate presence and springboard for their business in Jakarta by simply using its Business Identity Plans as their starting point. Clients of the space may choose between private serviced office, collaborative co-working or virtual office solutions at an affordable price. The center is a new grade-A building in the heart of South Jakarta, offering a variety of serviced office options on flexible terms. This space has an abundance of amenities, inclusive of the pricing, including; high-speed internet, janitorial/maintenance services, private lounges, furnishings, and bookable meeting rooms. The on-site management team are happy to provide services such as; mail handling, call answering, guest meet-and-greets, plus are able to help with any questions you may have about the space. An events space within the center is available for hire, and the management team host a “get-together” event twice per month to encourage a communicative working environment. 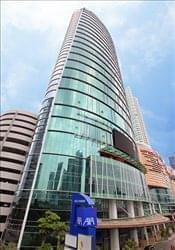 This center is located in a Grade A building, integrated with Mall Kota Kasablanka and Casa Grande Residence apartments. It’s a one stop service area to fulfil all your business & leisure needs. Located at H.R Rasuna Said of the prime business district of Kuningan, this center at Menara Karya provides the most ideal serviced and virtual offices. The centre benefits from a number of outstanding services and facilities including fully furnished offices, meeting and conference rooms, instant occupancy with minimum start-up costs, simple, flexible agreements and 24-hour security and access. 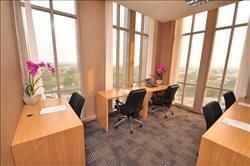 Set in a prominent building in the heart of Indonesia’s largest financial district, the Golden Triangle, this elegant serviced office centre offers a range of furnished office suites to meet the needs of your business. A range of business support services is also available. 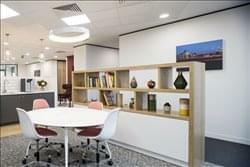 This is a brand new serviced office located in a brand new building, which was built by a reputable construction company. This centre has modern style offices with bright natural light and spacious reception area. The modern style of furniture with storage that fit your specific requirements gives you practical and effective solutions for your business. South Jakarta, Jakarta - Jl. Jend Sudirman Kav. These business centres are located on Level 18 and Level 30 in Sampoerna Strategic Square. 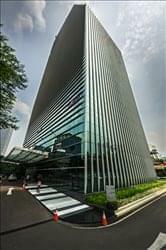 The centre on Level 30 is designed with the most current and contemporary workplace features – a first in Jakarta! Offices are available for 1-30 people with a total of 320 workstations available. Features include high security, 2 cafés, 2 lounges, 3 meeting, boardroom and conference facilities and electronic key card access. In an emerging market, these centres deliver a professional and secure environment. Take all of these and combine them with our client orientated service, our philosophy of exceeding expectations, flexible leases and affordable prices, your business is well positioned to succeed. This centre provides serviced offices, virtual offices. The facilities are designed to be affordable, accessible, instant, flexible and easy, and deliver outstanding services. This is an excellent solution for your business. 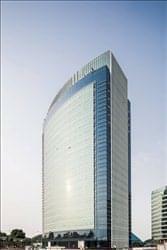 Enjoy the most professional office space with prestigious and modern architecture in the protocol road Jl. Jend. Sudirman in Central Business District of Jakarta. 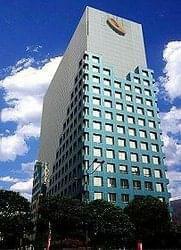 A sophisticated building with 7 exit points toward major highways, the building stands as a skyscraper and is located in SCBD (Sudirman Central Business District) the most prestigious, prime and favourable business location in Jakarta with surrounding amenities, such as International banking including World Bank, RBS Bank, Bank of America, ING Barings, Merrill Lynch, The Capital Residence, SCBD Suites, Ritz Carlton are within walking distance. This centre is a Premium Grade A++ building. It is managed by a reputable building management team. 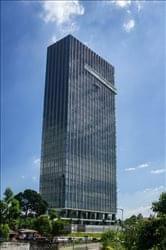 This modern and eco-green building with high rise floors, is one of the best buildings in Jakarta. The centre itself is on the first stop of the high zone elevator making us easier to reach without clients needing to wait for long. A fully furnished and modern style of office with the total of 51 various sized offices for up to 9 persons, with flexible solutions available. This centre upholds the highest standards for an office space. It boasts an abundance of parking space, a typical floor plate of over 2,000 sqm, a spacious ceiling of 2.9 m, and safety and security levels that greatly exceed the international standard requirements. An address at this centre exudes a level of prestige and pride that is unparalleled. This is the office that will help carry your business towards greater success. This business centre prides itself with a few achievements – its location in the city’s most well known building, its high client-value, and high client-retention rates. A lively, and a committed team work to make the clients feel welcomed, and the occassional tea-parties allow for clients’ mingling, and networking. This is more than the conventional office workspace. This centre is part of a complex located on Jalan Jenderal Sudirman in the heart of Jakarta’s golden triangle. The complex is one of the most superior corporate addresses, offering a safe and secure environment for businesses to flourish. The public art exhibitions and restaurants make the buildings a place for people, not just a place for business. This centre prides itself with a few achievements – located in Jakarta’s gold-award winning building dedicated towards Workplace Health Promotion, the centre is also recognised for its high client-value, and client-retention rates. A lively, and a committed team work to make the clients feel welcomed, and the occassional tea-parties allow for clients’ mingling, and networking. This is more than the conventional office workspace. This is a luxury business centre with fantastic views over the Semanggi Area at the centre of central business district. Offering from a number of outstanding services and facilities including fully furnished offices, meeting rooms, instant occupancy with minimum start-up costs, simple, flexible agreements and 24-hour security and access. 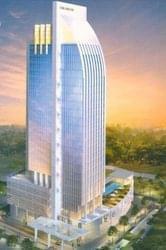 Offering a variety of flexible and high-quality serviced offices, this centre is within an integrated super-block project situated on Jalan Prof. Dr. Satrio, the main hub of Sudirman and Rasuna Said, in the heart of Jakarta’s Central Business District. 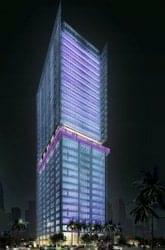 With the convenience of an integrated complex, it comprises an office tower, a shopping mall, apartments & condominiums and the Raffles Hotel. South Jakarta, Jakarta - Jl. RA Kartini Kav. 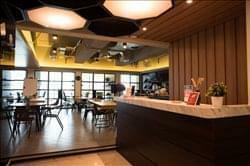 Well positioned in TB Simatupang area, one of Jakarta’s premier business districts, this new, grade-A center values inspiration and collaboration in private and coworking spaces spread throughout the workspace. From freelancers to startups to innovative enterprises, grow your business or pursue your own creative projects in these beautiful shared office spaces. With support from dedicated team members, this space is ideal for helping your business to grow. A bookable events space is available on-site, with the management team providing two “get-together” events per month to encourage businesses to communicate and promote a happy working environment. Facilities available within the center include; high-speed internet, a manned reception area, mail handling, telephone answering, 24-hour security features and meeting room (with Audio-Visual equipment) availability. This 200+-workstation fully equipped business centre concept, features fully furnished office suites, professional reception, offering IT, secretarial and administration support. Notable features of this facility include fully furnished offices, meeting and conference rooms, telephone answering, free refreshments, IT support, 24/7 access and high speed Internet. This business centre concept features fully furnished office suites, professional reception, secretarial and administration support. Features of this facility include fully furnished office, meeting and conference rooms, telephone answering, refreshments, IT support, 24/7 access and high speed Internet. This business centre features fully furnished office suites, professional reception, IT, secretarial and administration support. Features of this facility include fully furnished offices, meeting and conference rooms, telephone answering services, refreshments, IT support, 24/7 access and high speed Internet. Marquee Alamanda Tower supports your business by offering a wide range of serviced offices and virtual office services with plenty of benefits. 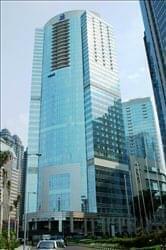 This is a new Grade A building located in the heart of the Kuningan business district area of Jakarta. The building is supported by a high-end security system which will ensure the safety of the tenants. The centre provides serviced office space from 1 to 6 people at very competitive prices. A range of support services is available. This office facility has 1,980 sq m of workspace facility available for immediate occupation. There are 64 offices with 288 workstations, two meeting rooms, a business lounge and studio office. This modern, high quality facility benefits from high speed broadband, video communication facilities, business café and welcoming reception. This centre in Jakarta prides itself with a few achievements – its location within Jakarta’s multi-million dollar mega investment building, and for its high client-value, and client-retention rates. A lively, and a committed team work to make the clients feel welcomed, and the occassional tea-parties allow for clients’ mingling, and networking. This is more than the conventional office workspace. To obtain information for your selected South Jakarta Serviced Offices, please tick the "Add to basket" box for each office you prefer and complete the form below. We will then send a detailed report via email.